Take the Causeway north across Lake Ponchartrain. Continue north 7.5 miles staying on Hwy 190. Exit right at Highway 21 (before the bridge). Take a left at the 3rd light and go under the bridge on East Boston Street. 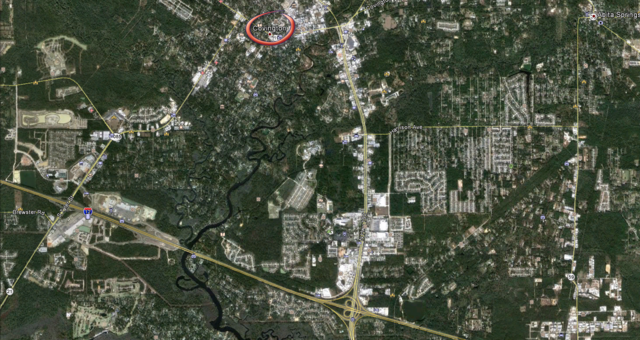 Continue across the Bogue Falaya River, then take the 4th left onto N. New Hampshire Street. Find the 3rd building on the right, across the street from Kimsu Oil Company. Take the I-10 heading East, then divert left onto I-12 (still headed east). 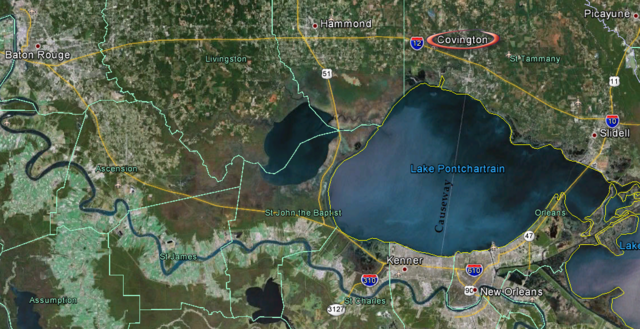 Go 62.5 Miles to the Hwy 190 (Mandeville/Covington) Exit. Go Left-North toward Covington. Continue north 3 miles. Exit right at Highway 21 (before the bridge). Take a left at the 3rd light and go under the bridge on East Boston Street. 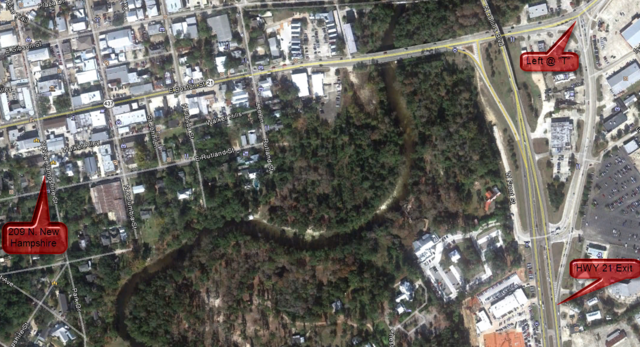 Continue across the Bogue Falaya River, then take the 4th left onto N. New Hampshire Street. Find the 3rd building on the right, across the street from Kimsu Oil Company.